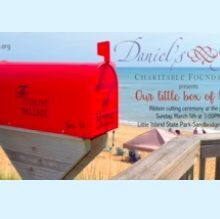 Daniel’s Grace is bringing a little HOPE to Virginia Beach. Having problems with a rental home that is hosting an event? SEE a non-emergency issue in your neighborhood? Use this link to report the problem to the city, then track the issue until it is FIXed!